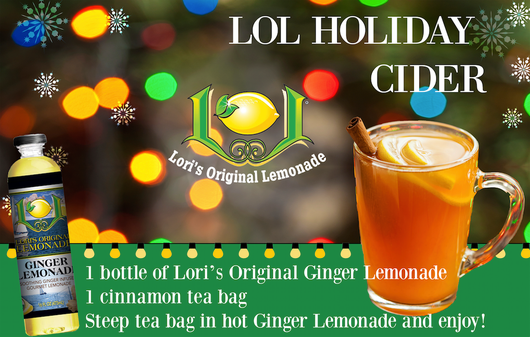 Pour one bottle of lemonade into small saucepan, add 1-2 cinnamon tea bags (or mulling spices) and heat over medium to low heat until hot and fragrant. Remove tea bag and serve in a festive holiday glass! Add a cinnamon stick for garnish. Optional: Add 1 oz of rum per serving for a Hot Toddy!